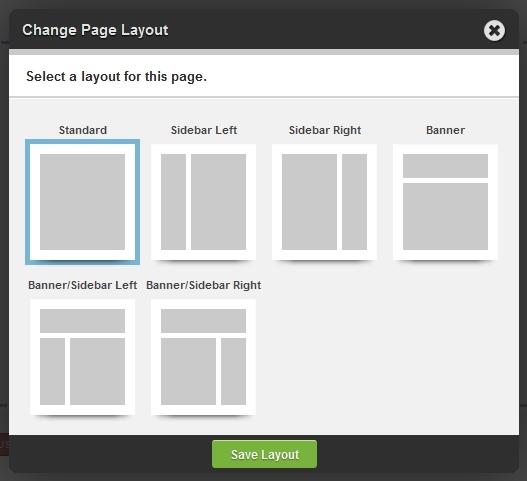 "Layout" refers to the way modules and content can be positioned on a page. 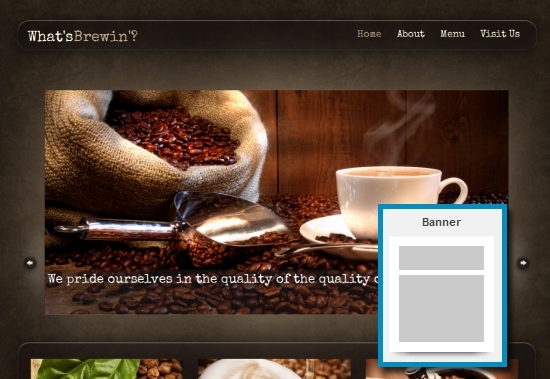 Banner, body and Sidebar are all part of a layout. 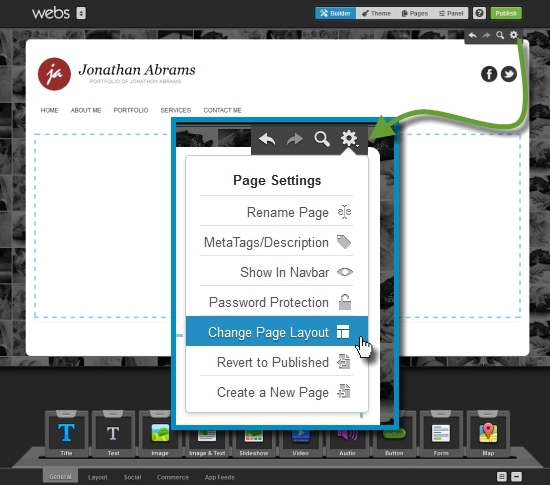 To change a page layout, click the Page Settings button in the upper right corner of the SiteBuilder (just under the "publish" button) to select the "change page layout" option. This will launch a pop-up box displaying six thumbnails that represent how your page will be divided. NOTE: Changing a page layout will shift content to new areas on the page. Also, certain content may no longer show after changing page layouts. This does not mean the content is lost; you can restore the previous layout to display your content. The Standard layout contains a single page area for content. 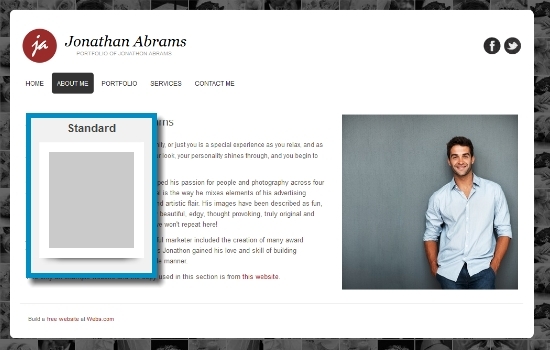 This layout is recommended for homepages, stylish photo galleries, and other pages that highlight dynamic content. Sidebar layouts are divided into two sections. The Sidebar are is recommended for displaying contact info, a secondary navigation and/or your app feeds. TIP: For best results, use modules in your Sidebar that display brief content. The Banner layout is similar to Standard but with an area for our Carousel feature. 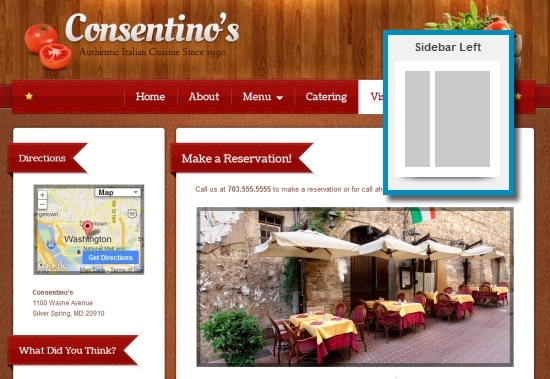 This layout is recommended for a homepage with a Carousel that highlights or previews different areas of your site. 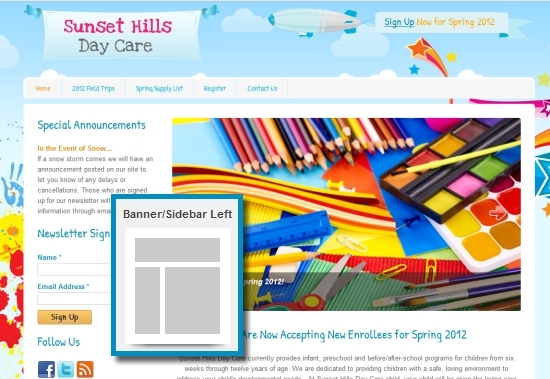 The Banner/Sidebar layouts are divided into all three available page sections. This layout is recommended as a homepage for content-heavy sites. For information on creating a page using The Carousel, click here.